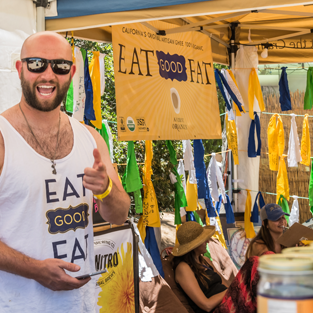 Volunteer onsite during the festival in exchange for a Full Festival Pass and free Camping. Many opportunities are available. Help make our (your) festival great! Our WE program is for those interested in holding sacred spaces, maintaining the flow and function, and being a co-creator of Shakti Fest. Our events would not be possible without you. 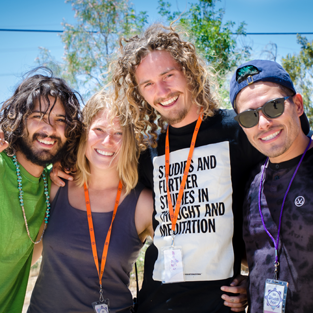 It is because of volunteers that thousands of people are able to come play, practice, heal, and discover true union (yoga) with themselves and others. 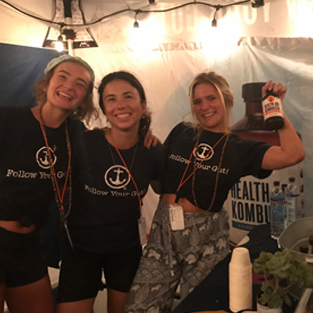 This program is particularly useful to those with financial challenges, as a festival ticket is provided free of charge in exchange for your service, as is free camping. 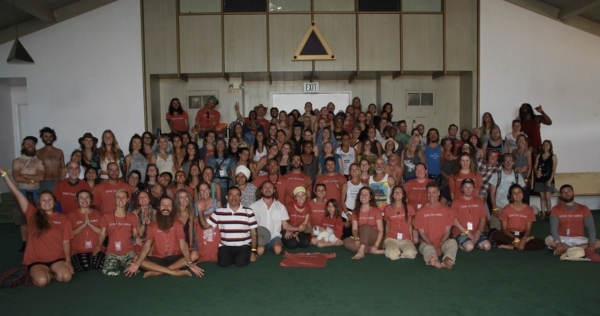 Many of our previous onsite WEs return year after year to participate in this Seva experience. *some details of Work Exchange may change as we settle into our new location. Stay tuned for information closer to January 2019. WE SEVAS volunteer around 6 hours of service per day or a total of 18 hours during the festival. This may include work in the Yoga/Workshop Halls, Greeting guests as they enter the parking lot, Registration, Stage support, supporting our Green Team or Hospitality. *Includes free entrance and camping. MAHA SEVAS volunteer 8 hours service per day or a total of 24 hours during the festival. These are typically people with previous Seva experience, however there may be exceptions due to areas needing specific expertise. Maha Sevas work in similar positions as Sevas. There are some available shifts before and/or after the festival allowing Sevas to enjoy the festival completely. *Free entrance, camping, and 2 vegetarian meals (breakfast and dinner) in the Staff Dining Hall. 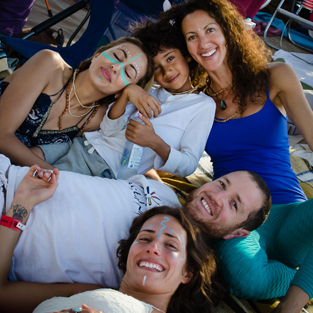 “My first Bhakti Fest as Work Exchange Coordinator we just had one level of “exchange”, which was the regular Work Exchange (WE), or “Seva” position. I was missing quite a few people on quite a few teams. Thankfully, I had just been to Summer Solstice in New Mexico for the first time a few months prior, and told people about my job. 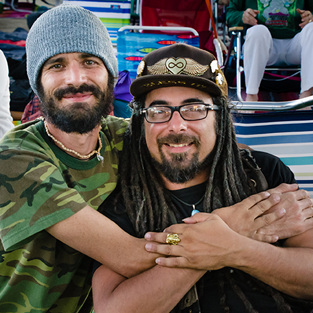 I was delighted when two guys (pictured here) from the Sound Crew at Solstice texted to offer their support! Street Team application is now open for Shakti Fest 2019. 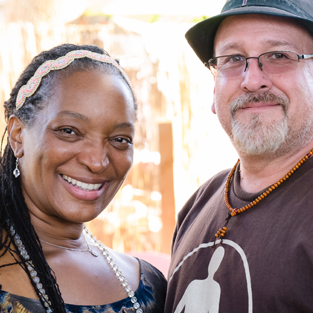 Promote and share the deep love that Bhakti Festival events bring, this team utilizes social media and distributes promotional material at yoga studios, health food stores, places of healing, and to other conscious spaces and events. To be considered fill out the application. This opportunity allows you to complete all of your volunteers hours in promotional work prior to the festival. Once complete you will be given a Full Event Pass with free Camping (This is not available to sell). We make it easy but we need your help! Want to get involved? Please fill out our street team application.